Click the image to download Muvimi! With Muvimi, you can create a custom avatar that looks like you, or just about anyone else (aliens included!). Then, you can choose a theme for your movie, and specific sets where you would like to film. You can decorate your scenes with props and background items, while adding new costumes to your actors as you go. Then, all you need to do is tap the record button, and tap whichever actor you would like to speak – you can record using your own voice if you want! The level of control gives future directors a ton of creative options – you can choose your camera angle and choose to add music when you export your finished movies. 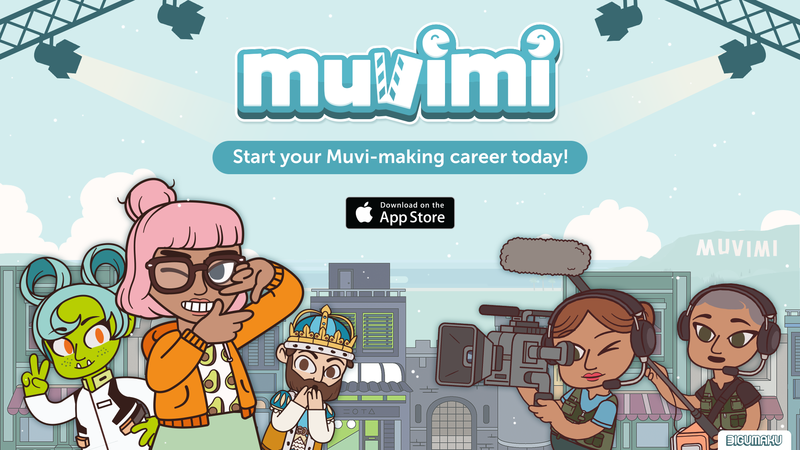 Muvimi is the first app under our new brand aimed at bringing creativity-inspiring games to the kid in all of us. If you’re interested in learning more, follow BIGUMAKU on Facebook, Twitter or Instagram, and sign up to the email newsletter.